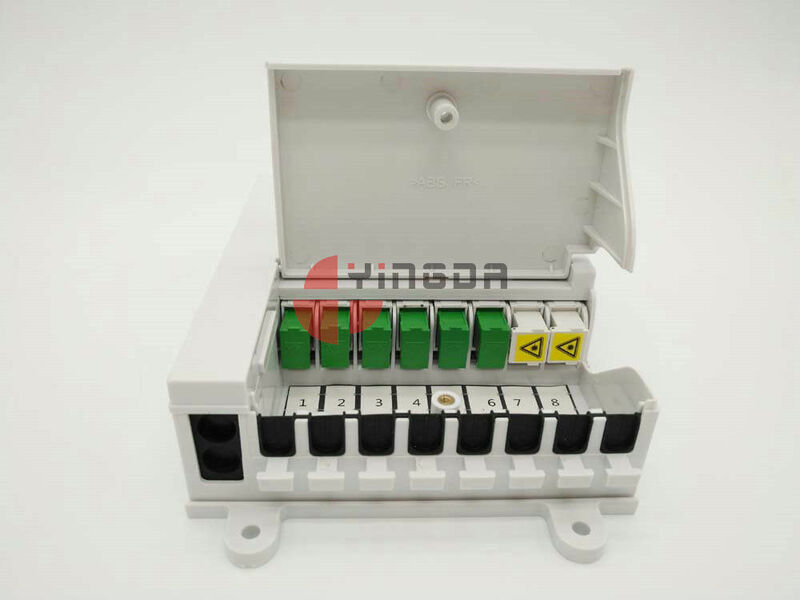 This plastic terminal box is indoor use only, mainly for distribution vertical cable from patch cord to end customer. 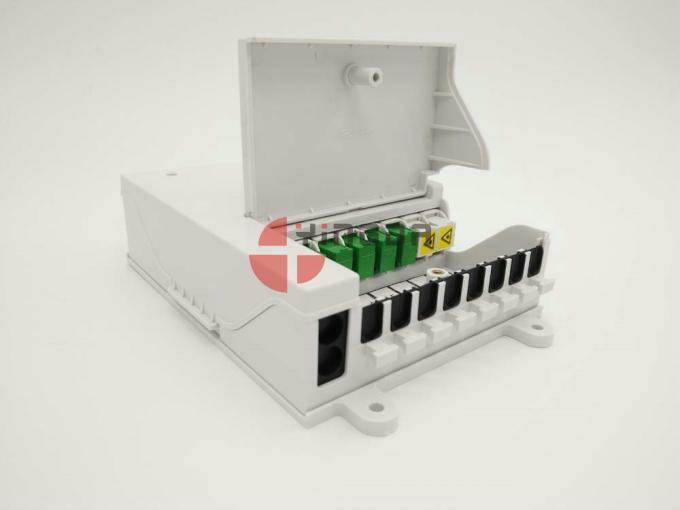 It is placed on the wall or bottom of the floor cabinet niche by screws. 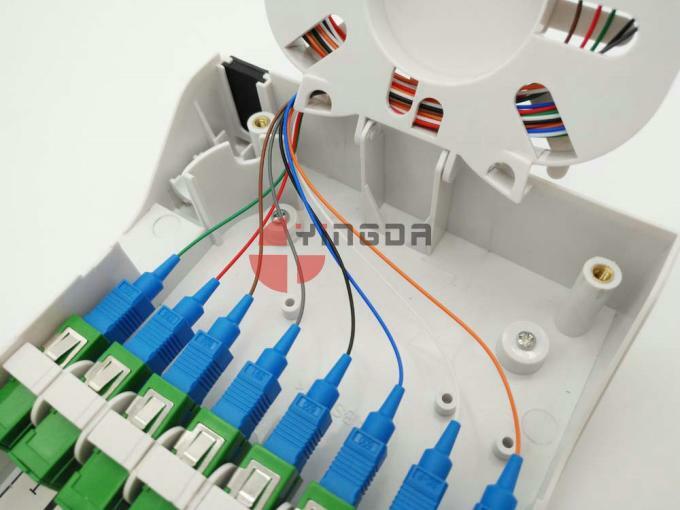 The entry 2ports can use multi-fiber cable maximum diameter 12mm. 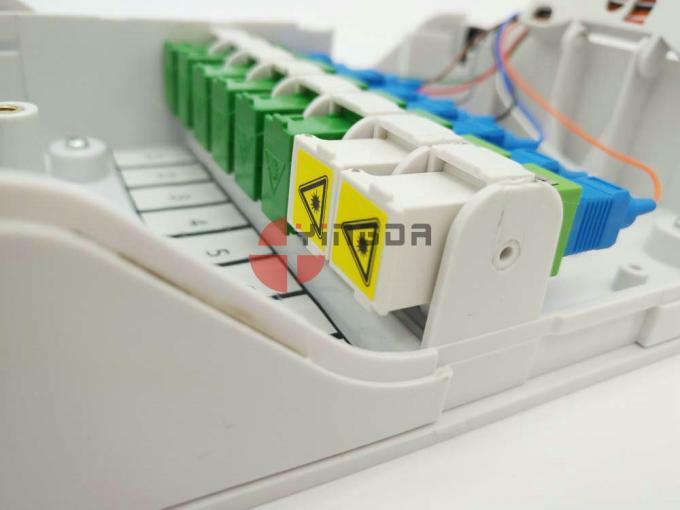 The output ports 8pcs FTTH 2x3mm drop cable or 3mm soft cable. Meanwhile, unique design of separate covers for the adapter and cable entry/exit ports makes it more safe, nice and humanity. 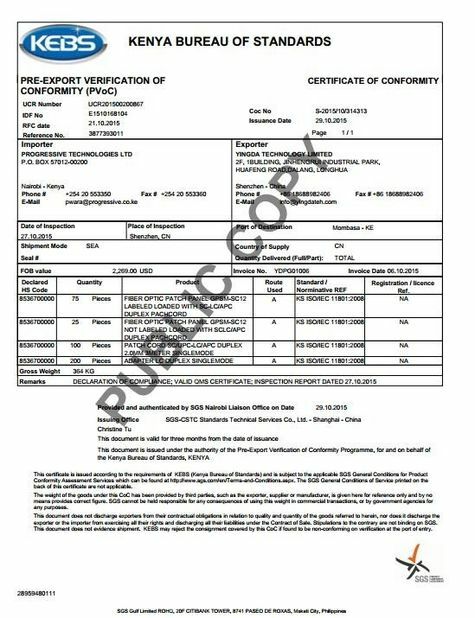 Whole box is made of engineering plastic ABS+PC brand new material, white color. 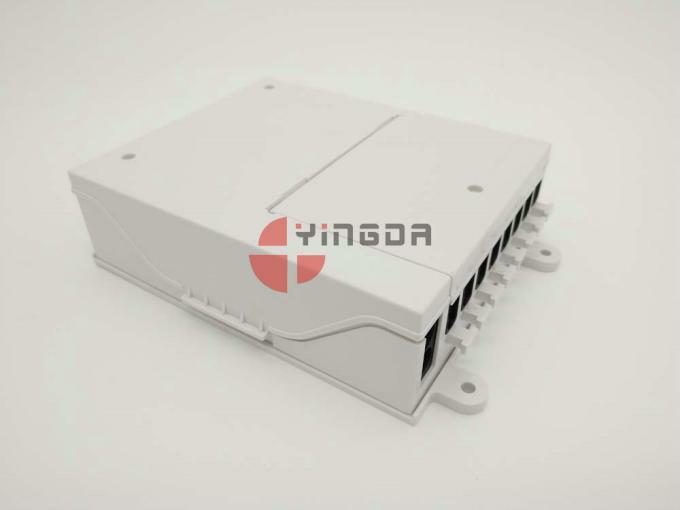 The lid of the box have round edges, and closed by allen screws, anti-theft, more safer. 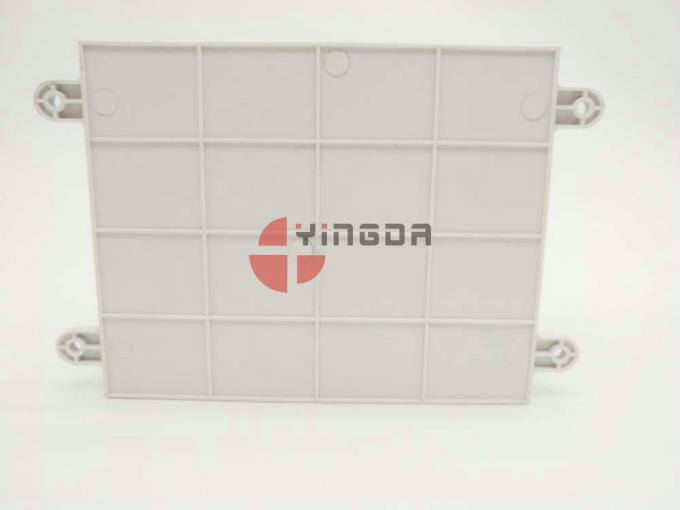 Two covers, one is for front adapter operation, the other is for cable fusion and feeder cable in and out, independent space design, more secure and reasonable. Opening of the lid will not affect the movement of the other parts of the box. Both cover is removable. 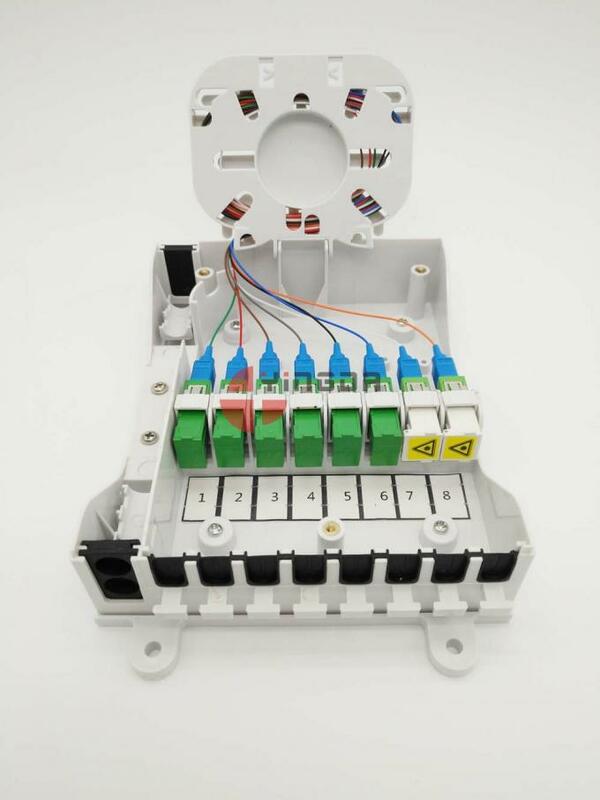 There is 1 splice tray for extra fiber, and max. 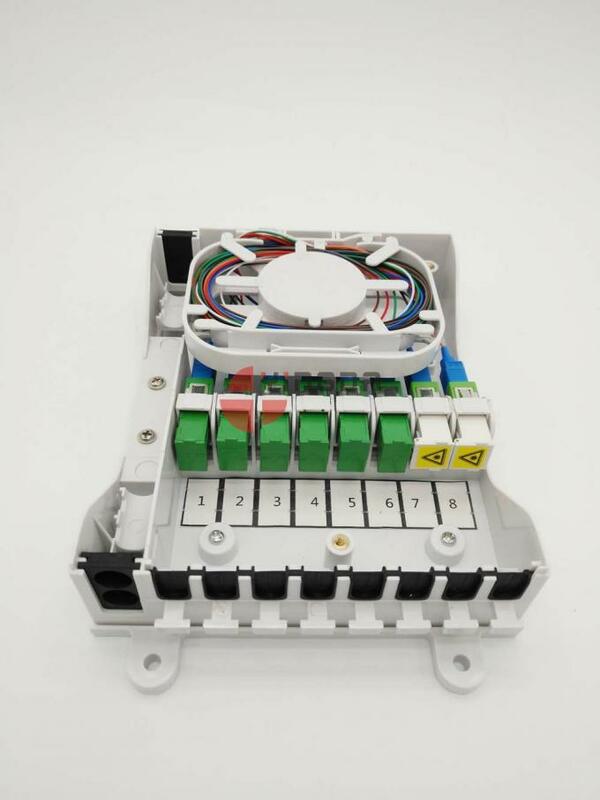 Fusion 4cores single fiber. All the metal parts is stainless steel AISI-303 and resistant to the corrosion in normal temperature. Each adapter holder is individual, not a whole set of adapter panel. 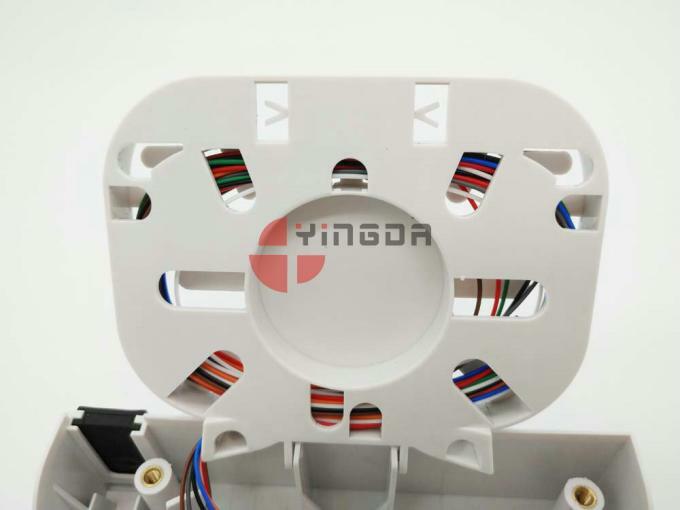 Each one can turn 360°degree, it is much easier to use, change adapters, or future maintainence. 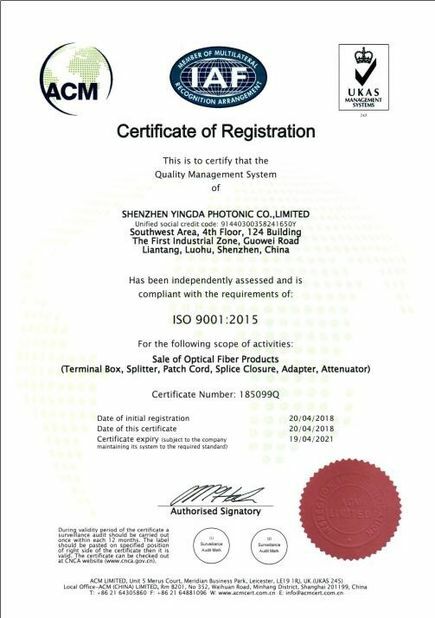 The materials high quality ensure a minimum period of 20 years. In front there is cable management rods for better operation.